Someone donated a four player chess set to the chess club a couple of weeks ago. We unfortunately did not get the name of the teacher or parent that gave us this set but we thank you. If you donated it, please let us know so we can thank you properly. 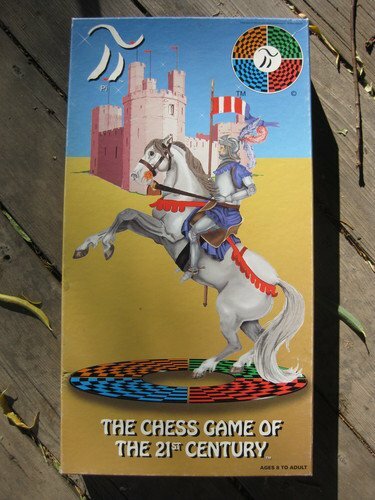 The name of the game is Pi The Chess Game of the 21st Century. 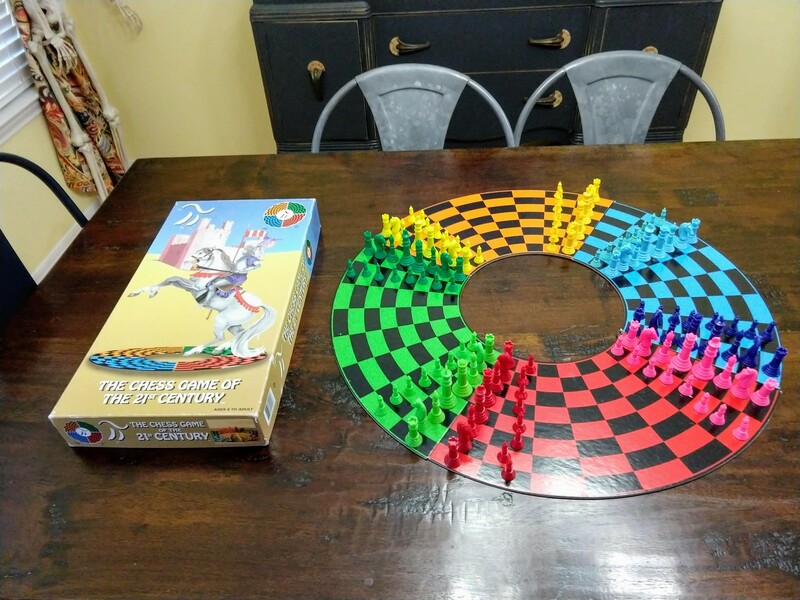 It is a relatively rare boardgame that is a chess variant we had not seen before. Created by a canadian inventor named Dan Brown. 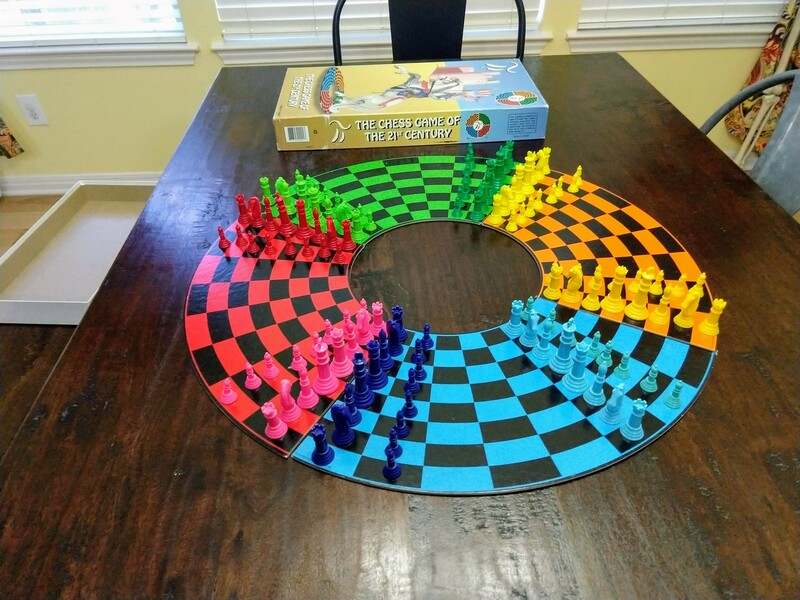 Instead of a 64 square board, it has 4 segments that when placed together form a donut. One each segment are two chess armies. All together, there are 8 chess armies and 4 players control two armies each. 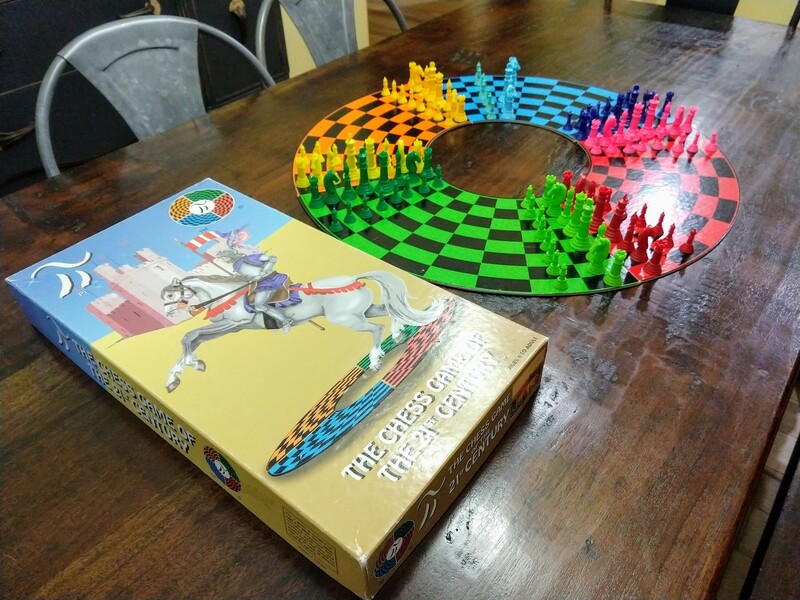 The play is similar to chess, but when a player reaches the edge of a segment, they say “En Garde!” and then move to the next segment to attack the next set of players. The winner is the last player standing! 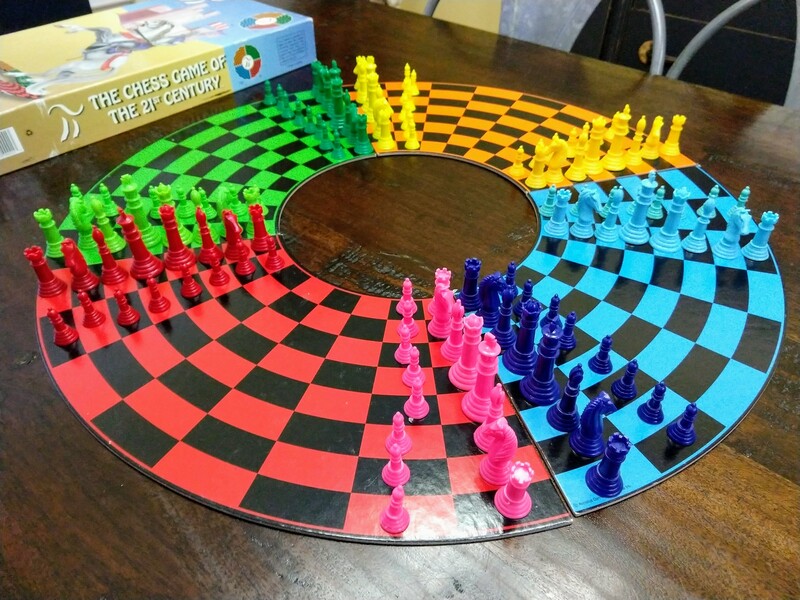 We look forward to the kids trying out this version of 4 player chess.